You must make reservations at least 5 minutes in advance of the time at Pappas Restaurant - Cockeysville. MTA bus stop at Cranbrook Rd. and Ridgland Rd. Book a private party with Pappas! Parties can range between 20 and 40 people, and you can plan a menu based on you and your guests needs. Please call for more details or visit our website for more menu information! Welcome to the newest Pappas Restaurant and Sports Bar in Cockeysville, Maryland! 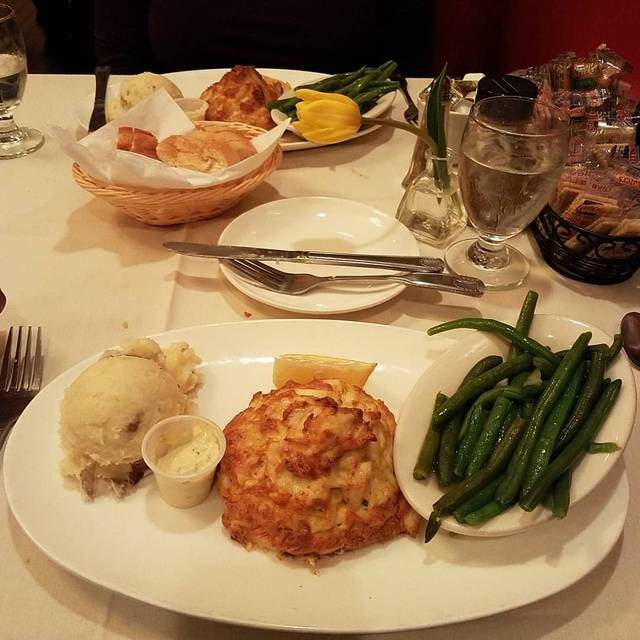 If you've been searching for the perfect crab cake in the Baltimore area -- or ANY area, for that matter -- look no further than Pappas' 7-ounce cake of glory. 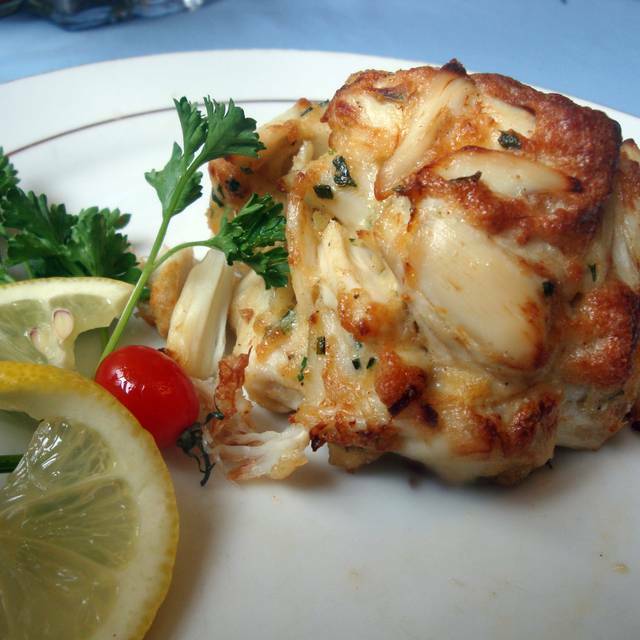 Packed with colossal lump crab meat, minimal filler, and a recipe blend that has had people coming back for more since 1972. 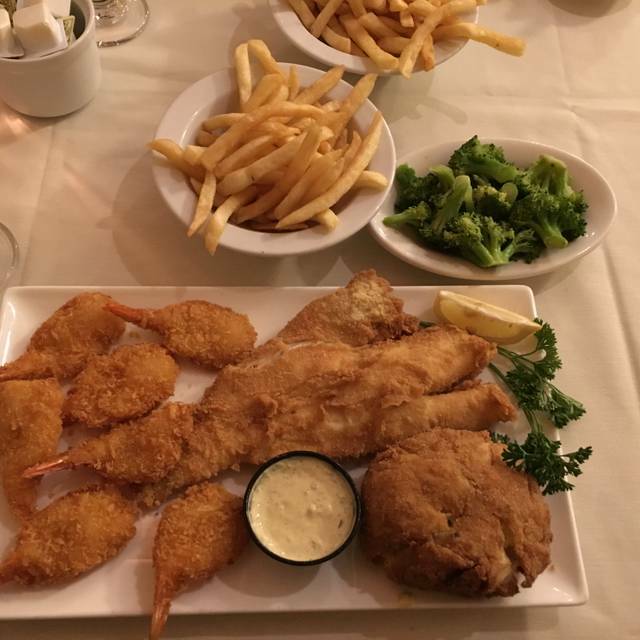 This gem is why Pappas has been featured on the cover of Baltimore Magazine, appeared on Food Network, Cooking Channel, and Travel Channel, and has won over 20 awards in just a few short years. We proudly welcome guests to enjoy a sinful cocktail at our bar, have a quiet dinner with the family in our dining room, or host a party for up to 40 people in our private room. Pappas Restaurant and Sports Bar is fully handicap accessible, and only a stone's throw away from the Beltway, minutes from Hunt Valley AND Towson. Make reservations today! Two of the best crab cakes in town! Three heavenly crab cakes. Finish yourself and get your picture on the wall of fame! Up from Florida to have amazing crab cakes w/ family. Broccoli was cold; sweet potato fries soggy cream of crab was very good; crab cakes & seafood club were great!!! Unfortunately overall a real disappointment for us after I bragged that it was the best in Baltimore- my home town. The crab cake is excellent as usual. Service was fantastic. The only comment I have is the steaks. It's always somewhat chewy. Excellent and reasonably priced. I can not wait to go back and try something else. Excellent meal. Friday night service a bit slow. Would come back during the week. Excellent menu choices. Stuffed baked potato a bit small portion. Birthday - when reservations were made it was stated it was for a Birthday. No acknowledgement of this was made. Why were we even asked? After we finished the meal and the table was cleared we asked for the check. It took at least 10 minutes to get it. Unacceptable. After our group was seated, someone filled up the water glasses and never came back. We flagged down the server to place our order only to be told, they would be back momentarily. After 10 minutes a couple that came in after us was serviced by the same waitperson we were waiting for. We left Papas, and went to La Tolteca down the road. No problems at La Tolteca. The restaurant smelled very bad. It had an odor of ammonia; which made it very difficult to enjoy our meal. They should take fried oysters off their menu. They don't even come close to Chesapeake Bay oysters (which they advertise). Luncheon "specials" average $21-22. A bit high for a neighborhood place. O'Neill was a pleasant waiter. He took our orders perfectly. However, he never came back to ask if we needed drink refills, or to ask if we'd like coffee, or dessert. It was nice that they didn't rush up out. We love Pappas! They are consistent with good food and good services. I highly recommend the MD Crab and Cream of Crab soup as well as the delicious crab cakes. HIghly recommend Pappas, you won't be disappointed! Client event! Excellent service and crabcakes were yummy! Pappas never fails me. I have tried many items on their menu, and was not disappointed at any of the selection. The cucumber salad is phenomenal. It was very busy and loud. The server wasn't attentive and the meal wasn't up to its normal standards. We went there for my mother-in-law's birthday. Another table received a dessert with a candle and they sang to her. My table was just given our bill even though we expressly told our server that it was her birthday. It was totally ignored. Overall, not one of the best experiences I've had there. Very disappointing. This place is phenomenal, this was the best crab cake ever. I’ll definitely be back. Crazy busy on a beautiful Saturday night. My crab cake was all lump minimal filling. My salad crisp and fresh. The thousand island dressing was delicious. Come at lunch and take advantage of the Crabcake special. Drink soup 2 vegetables and crabcake. It was my birthday dinner and everything about the evening was perfect. Our waitress Sara was exceptional she was very professional and had a great sense of humor. Our food and service was amazing. Thank you so much. Great crab cake dinner and sides. The service was outstanding. We are sure to return, soon. My wife and I always try to dine at Pappa's when in the area. We love the crab cakes and the service is first rate. It is a really great dining experience. Our waiters name was DJ and he was the best. He was always coming to the table and check on myself and my family, especially my grandma who was celebrating her 86th birthday. He was super awesome and it was my grandmas first time and she’s asking to go back and want him specifically to wait on us. My mother-in-law visiting from Florida wanted to have a local crab cake. We only had one place to go and that was Pappas . The food and the service was wonderful. We have never been disappointed when we eat at Pappas Restaurant. We especially like the Cockeysville location and their extensive menu. That said, we always wind up geting their amazingly delicious crab cakes. Best crab cakes in town. Better than G&M and Timbuktu. 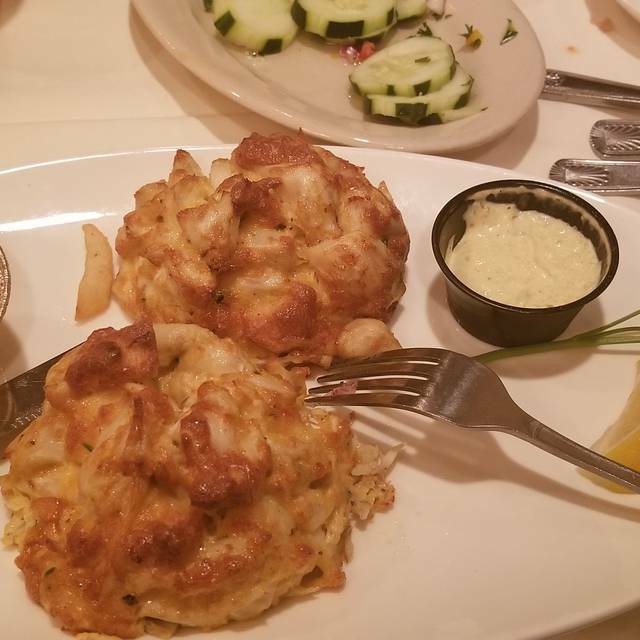 The crabcakes at Pappas are outstanding. The service was excellent. Although I had requested a round table for the eight of us, we were seated at a long table and the room was quite crowded for a Saturday lunch. But, that is just indicative of the great food that draws so many diners. Noted that it was my 92 yo mother’s birthday when reservation was made. Reminded waitress when order was taken. Two other tables had birthdays that night, both got cake with candle and happy birthday sang. Our waitress forgot. Pappas has the best Gluten Free crab cakes!! It was very crowded but we had a reservation. 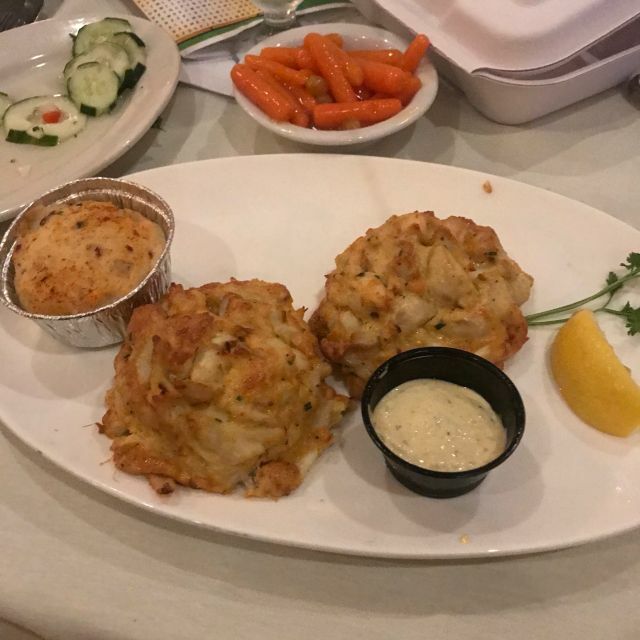 We ordered the crab cakes and although they were lump, we do not believe they were made with MD crab meat and therefore had a different taste than what we've gotten there before. My husband had a great time celebrating his 49th birthday with his family and friends at Pappas. Thank you for accomadating our large party on a busy Saturday afternoon. We will be back! I also liked the online reservation it made the process very easy. The quality of the food that we ordered was okay, but not what I expected from this restaurant. We ordered steak Christopher and stuffed shrimp. The steak was poor in texture, quality, and taste - tasted like hamburger meat- and the crab imperial topping was relatively dry and uni-dimensional with little to no nuances of flavor. 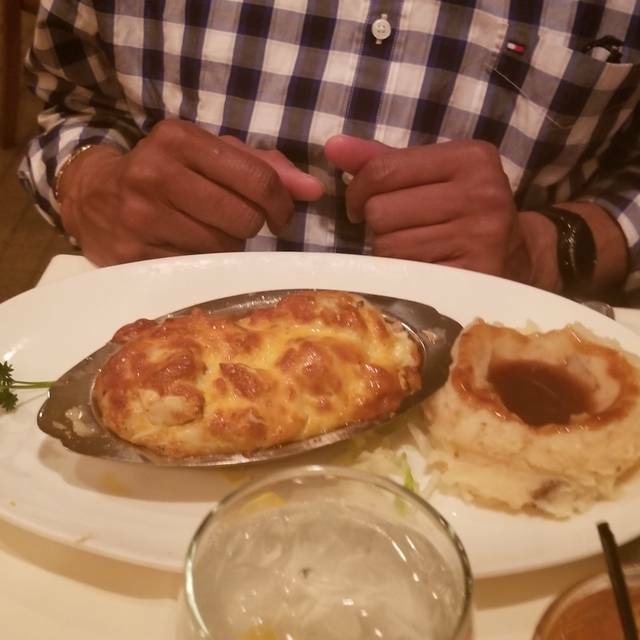 The stuffed shrimp was better than the other meal with moister crab imperial and more lump crab meat, but remained rather bland. Overall, my wife and I were underwhelmed by the meal. Love this place. The food is fantastic. I got the crab cake which was delicious. The cream of crab soup was also one of my favorites. Met friends for drinks in the bar and then dinner in the restaurant. Everything was great. Service and food. Very busy in both places. absolutely the best crab cake ever. I thought the crab cakes were ok. Was expecting them to be wonderful with the reviews. Our waitress seemed rushed, agitated and left us for long periods of time without checking on us. First time there for us with four of them celebrating birthdays. Was nice they got a free piece of pie. Waited a long time to see our waitress to pay check finally asked a woman I had seen walk by once already and she was pretty crappy saying yeah I do that. I told her well I have no idea we’ve never been here before. Best crab cakes ever! A little ridiculous that they ran out of feta cheese for Greek salad on a Friday night, but the food was delicious, as always. The place is packed (on a Thursday evening), the crab cakes are great, the prices reasonable. The crab cake was great! However, I requested a table in the smaller front area days prior to the date because I wanted to talk with my friends from California while having a delicious dinner. Instead, after waiting 30 minutes extra after my reservation time, the hostess sat us in the back area which was crammed with tables and loud. It was very hard to hear each other talk☹️. My friends were hungry, so we stayed seated there instead of waiting longer for a different table, but it was very disappointing to all. We absolutely love Pappas. We travel to Hunt Valley for business a few times a month and We make it a point to reserve a table at Pappas. The food is amazing. Most of all, the quality is consistent!